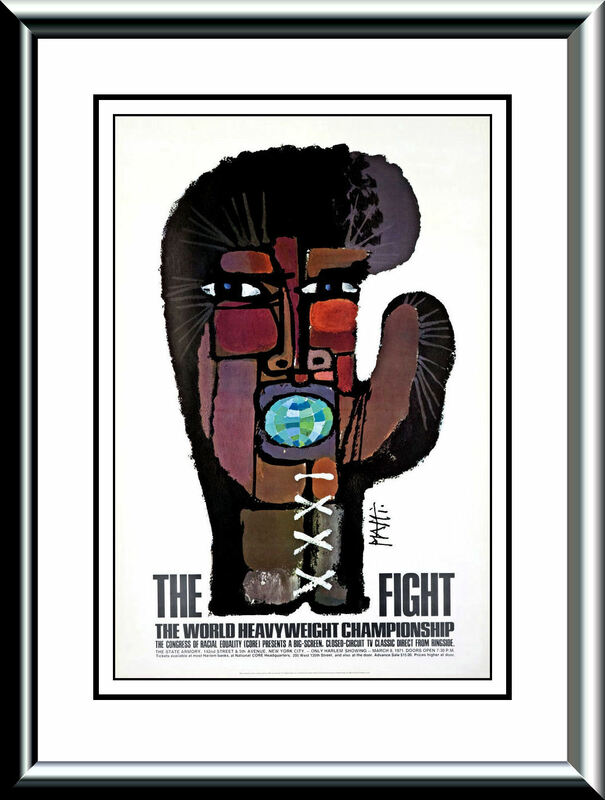 Description : This is the ORIGINAL poster by the Italian artist Celistino Piatti used to advertise the exclusive Harlem closed circuit showing of the "FIGHT OF THE CENTURY" on March 8, 1971 fight between Muhammad Ali and Joe Frazier. 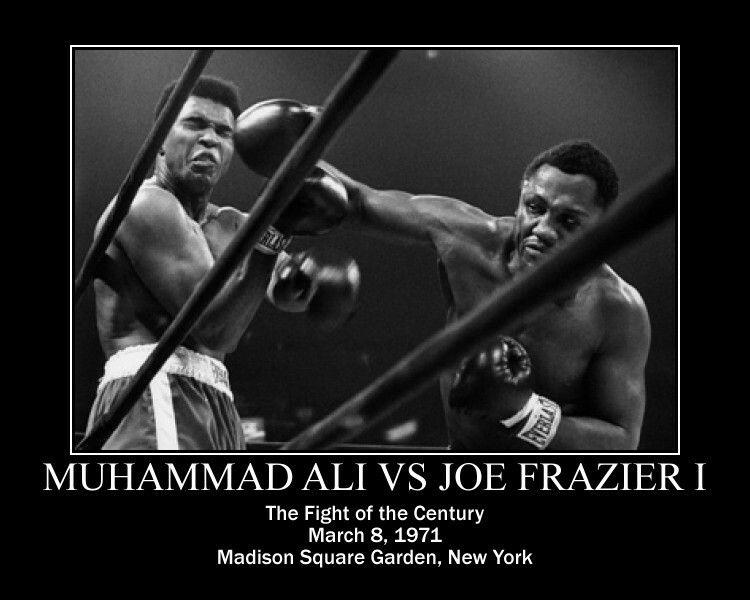 This was the first fight the two ever had together at Madison Square Garden. 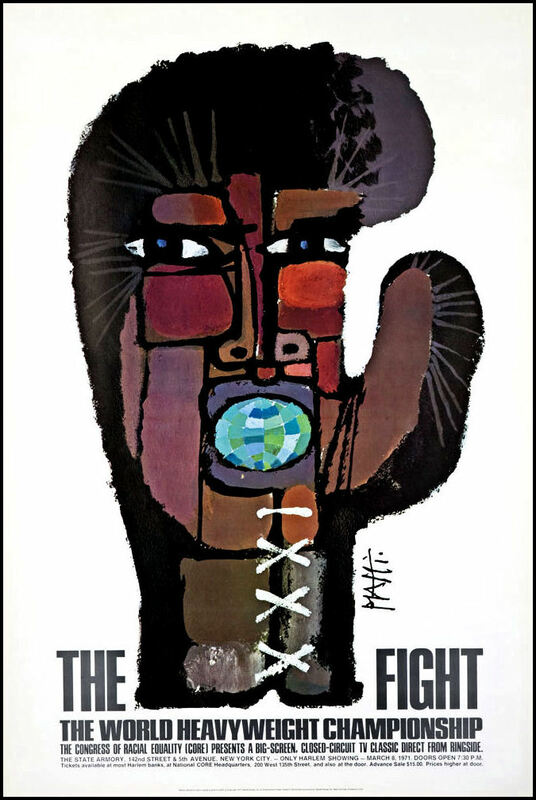 The image itself is of a boxing glove with eyes, holding a globe in its mouth. It is in superb condition for its age & and measures 30in x 45 inches. Note: This is NOT a reproduction. You can smell the age just oozing out of this fantastic piece of history. We ONLY sell original first printings of posters. KOfightposters GUARANTEE the authenticity of all of our posters. Please email me with any questions.